That is, if major brands adopt the technology. 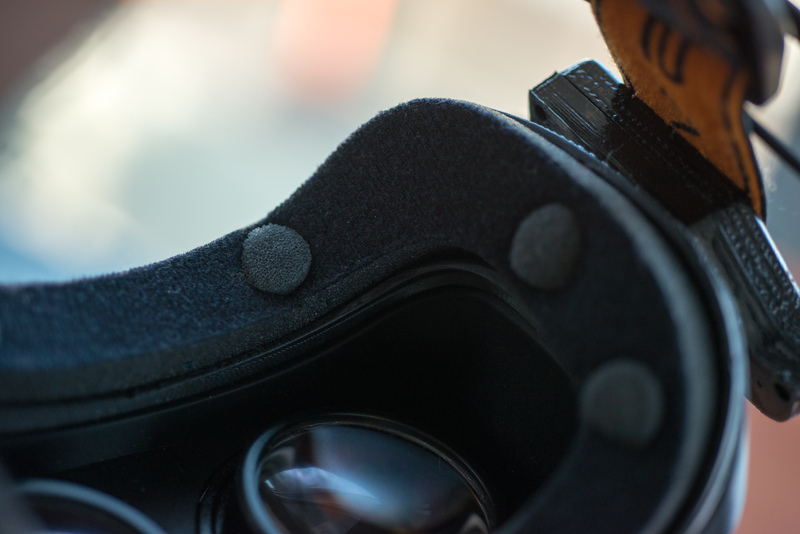 Existing VR systems and experiences are immersive, engaging and sometimes even interactive. But they don't offer a quick, easy way for you to express your emotions. Medical device maker MindMaze has come up with a novel, compelling way to convey your facial expressions in VR called Mask. It's a foam insert that's compatible with existing headsets and uses diodes to read your biosignals and muscles. The potential applications here are plenty: You could deduce, from your opponents' faces, when they're preparing to shoot or see a new acquaintance laugh at your joke in social VR scenarios. But it won't be something you can buy. Instead, the company is licensing its technology to manufacturers to embed inside headsets. MindMaze says the Mask is easy to integrate into existing products. The setup consists of eight diodes embedded in the foam cushion that's used in most headsets, and they read electrical impulses and muscle activity from your face. That data is analyzed with a machine-learning algorithm that determines the facial expression you're making, then replicates it on your avatar in the virtual world. During my demo, the Mask system on an OSVR headset detected and displayed the company rep's smile, wink and smirks almost instantly. That speed is something the company touts as a key feature, and is important as lag can take away from the realism of any interaction. In case you're feeling iffy about the idea of strapping diodes on your face, MindMaze says you shouldn't worry. Although Mask is not FDA approved (since it doesn't actually have to be), MindMaze says it produced Mask with the same amount of attention to health impacts as it does its other medical devices. The company also plans to reach out to developers when its partnerships are more firm, so it can release an SDK for the creation of avatars and players that not only express emotions, but can react to them as well. That means future game storylines could evolve based on how you're facially responding to them, too. MindMaze CEO and founder Tej Tadi told Engadget that his team has been talking to major headset manufacturers like Google, Oculus and HTC "in various stages," and that they are working on "the best way to bring it out by holiday season." While that's not a guarantee that Mask will arrive on devices later this year, Tadi is optimistic it will happen.